Celebrex Review – Is This Product Safe To Use? Celebrex is one the NSAID or nonsteroidal anti-inflammatory drugs marketed today that aims to treat and address symptoms associated with arthritis and rheumatoid arthritis among adults. This drug works by inhibiting the production of a certain enzyme, COX-2, which is said to cause pain and inflammation among arthritic patients. While this drug presents a viable solution for arthritis symptoms, it is also important to take this drug with extreme care. What is the Company Behind Celebrex? 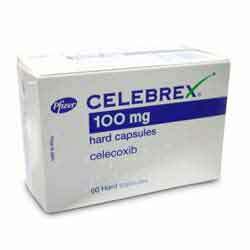 Celebrex is marketed by Pfizer and was approved by FDA on December 31, 2008. As a prescription drug for arthritis and rheumatoid arthritis, it comes in different dosages: 50, 100, 200, or 400mg of celecoxib. The dosage will depend on the doctor’s assessment of the level of pain and inflammation experienced by the patient. It also contains inactive ingredients such as croscarmellose sodium, which helps in the solubility of the drug so it can be absorbed quickly into the system. It also has sodium lauryl sulfate, a substance often used with glucosamine to treat arthritis and joint-related disorders. Other ingredients include edible links, lactose monohydrate, povidone and gelatin. What are the Pros of Celebrex? It may provide a whole-day relief against pain and inflammation. Show significant improvements on arthritis patient’s physical functions as well as reduction of pain and stiffness. Less prone to stomach pains, vomiting and nausea compared to those who are taking other NSAID’s such as ibuprofen. What are the Cons of Celebrex? May not be safe for pregnant women, lactating women and women who are planning to get pregnant. As a precaution, patients are advised to talk to their doctors once they notice any of the following side effects. The dosage of the drug should be taken as what the doctor prescribed. Lastly, patients should talk about all their health conditions and medications to their health providers before taking Celebrex. In general, this drug seems able to deliver on its benefits. As it has been clinically-tested, its potential to address pain and inflammation of arthritic patients look very promising. However, with the side effects presented above, it is important to take this drug with extreme care in order to get the most out of its benefits.